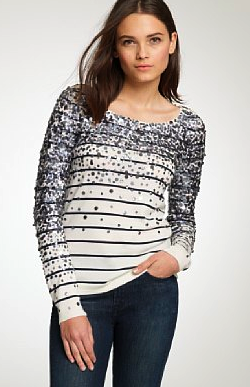 I love this sweater that J Crew sold about a year ago (I think), though I couldn't find the exact price any more, most embellished sweaters from here retail for $80+. 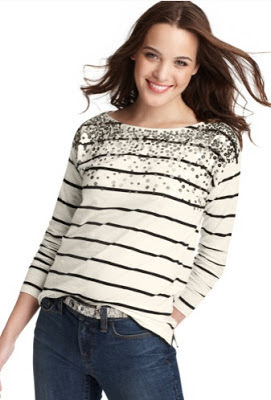 Loft has a similar top right now, though this version is a tshirt instead of a sweater. It retails for $49.50 and you can click HERE to view or purchase.